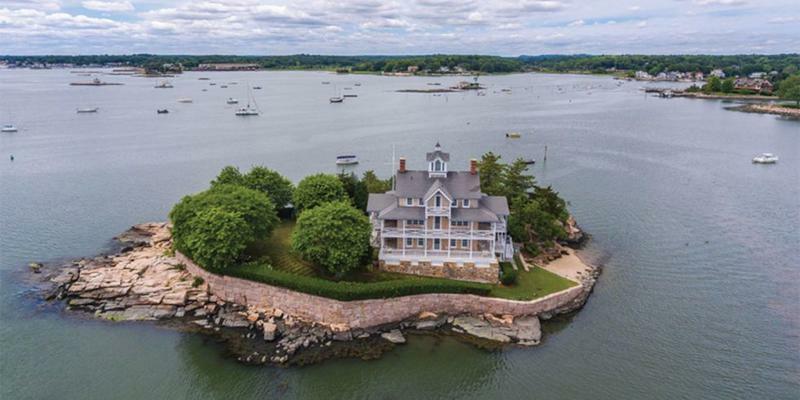 In Long Island Sound, just off the coast of Connecticut, there is a collection of 365 tiny islands—one for each day of the year, the locals like to quip—that are collectively known as the Thimble Islands. No more than large, granite boulders that were strewed into the water during the Ice Age, the Thimble Islands have a rich history that included rumors of pirate treasure. When the Late Wisconsin Glacier receded more than 15,000 years ago, it left in its wake a series of rocky, pink granite boulders and outcroppings in the Long Island Sound. In the region of the United States, there is an ongoing debate about what constitutes an island. Some are several acres in size while some are nothing more than big rocks that happen to stick out of the water. The local Mattabesec Indians called the Islands “Kuttomquosh,” meaning “the beautiful sea gems”. Dutch explorer, Adriaen Block, stumbled upon the Thimble Islands as he was exploring the waters around what is now New York. 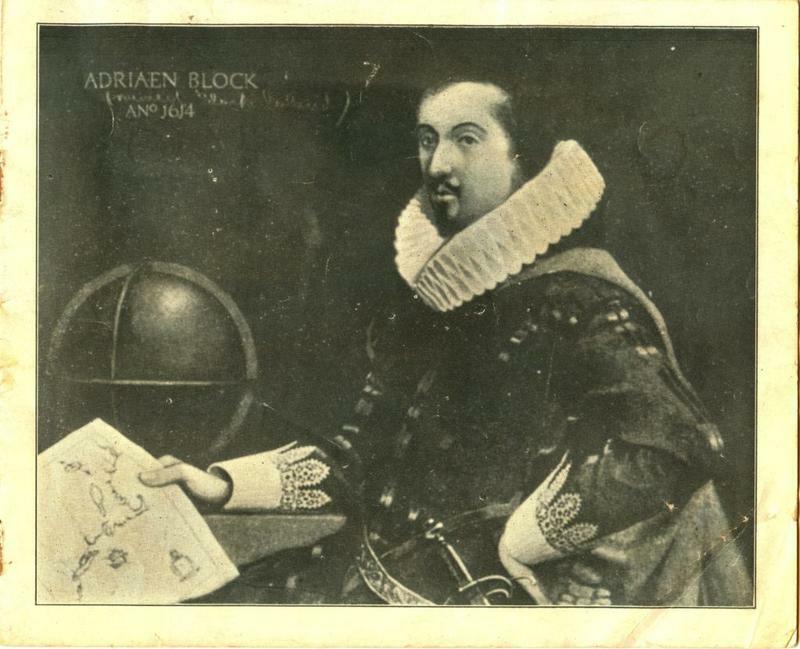 He claimed the islands for the Dutch and included them on his impressive list of New World discoveries. You would assume that the Thimble Islands were so named because they pop out of the water in thimble-shaped mounds, but you’d be wrong. The islands got their name because they used to be covered with thimbleberries, a red berry that grows on vines like raspberries. 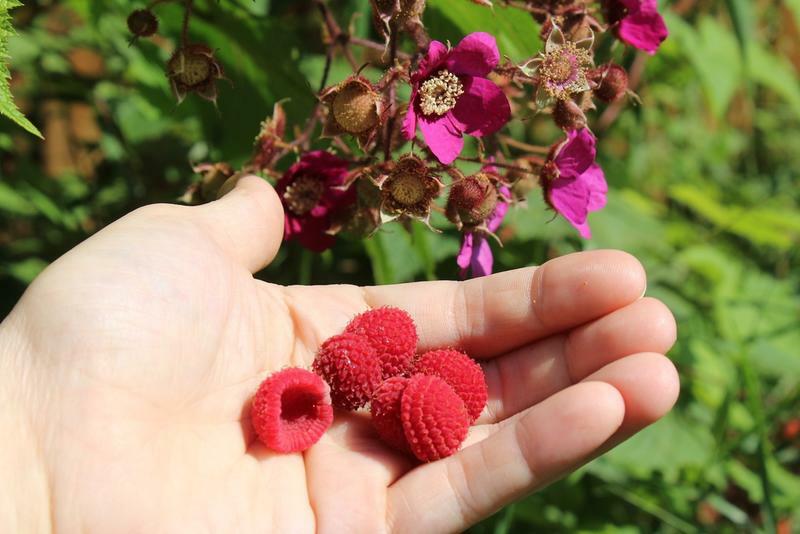 Thimbleberries are now uncommon in the area. 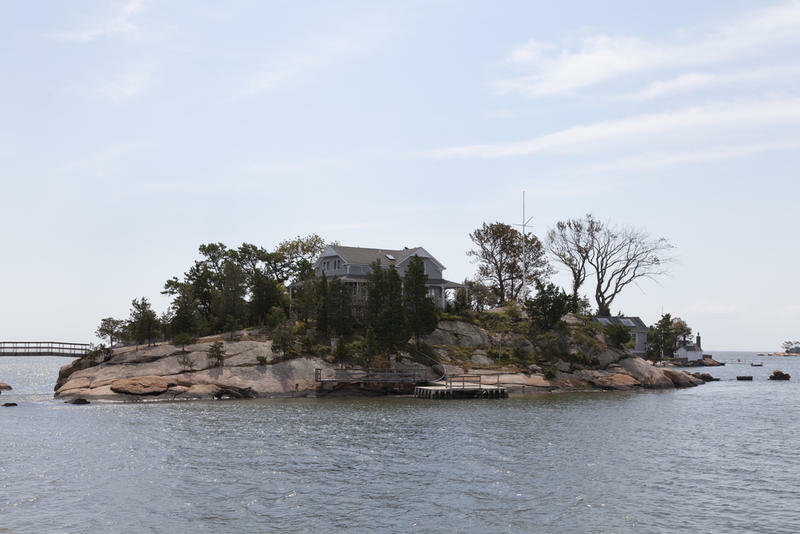 According to local legends, the Thimble Islands provided the perfect hiding place for Captain Kidd. 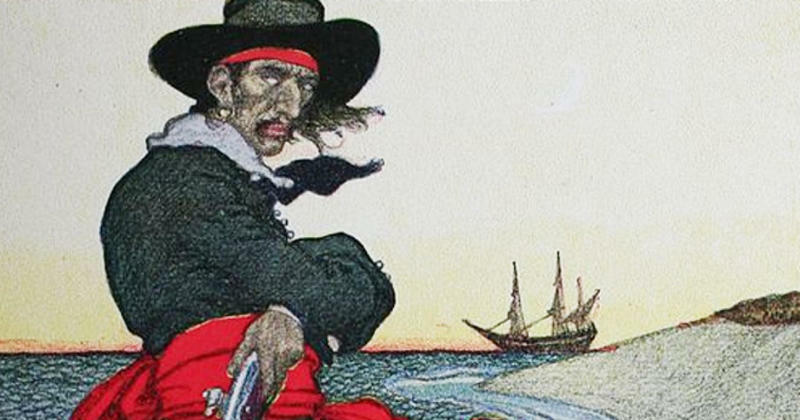 Born in 1654, Captain William Kidd was a Scottish sailor and privateer who crossed the line to become a pirate. With the English on his trail, he sailed up the east coast of the United States, looking for a place to stash his pirate booty. Some say he found the perfect hiding place in the Thimble Islands. Although Kidd’s hideout was alleged to be on High Island—there is even a hidden hole in the rock so he could keep a lookout for the English—many of the surrounding places were names for him. There is Kidd’s Harbor on High Island, and two nearby islands, Kidd’s Island and Money Island, that are linked to the legend. Treasure hunters have scoured the area, but alas, no pirate treasure has been found. 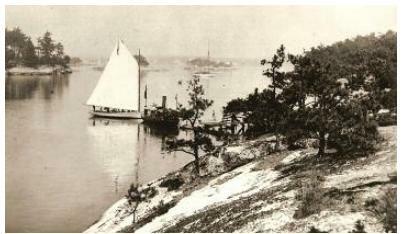 In 1846, William Bryan used his land on Pot Island to build a hotel, the Thimble Island Hotel. During the summer months, tourists flocked to the hotel to spend a quiet, serene getaway from the hustle and bustle of the hot New York City. Bryan even encouraged the Captain Kidd legends so he could attract treasure hunters to his hotel. He offered tours of the islands on his steamboat. Business was so good that Bryan expanded the hotel. 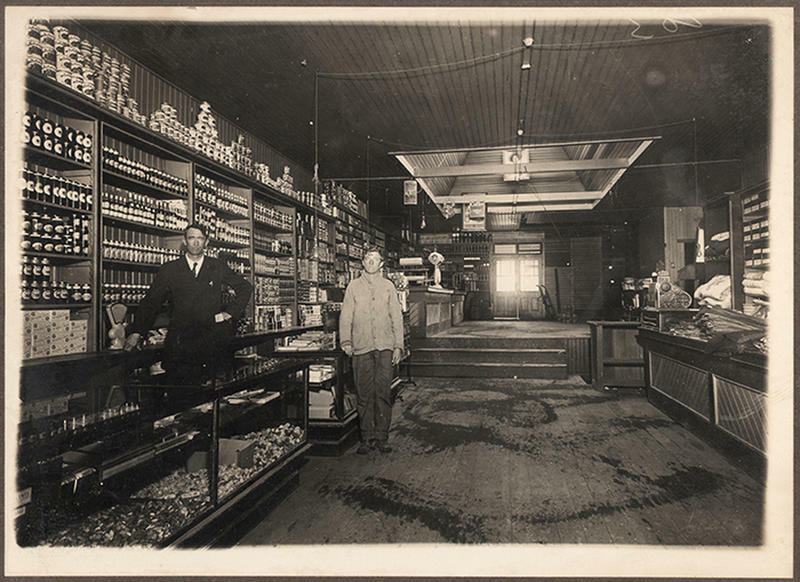 Tourism flourished into the 1900s. By then, however, many of the islands had been purchased by wealthy private citizens who built posh summer homes. Today, all but two of the islands are privately owned. Twenty-three islands have houses on them, but only six have electricity. 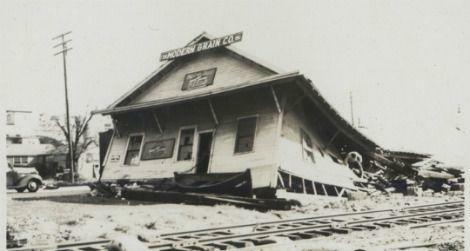 A deadly hurricane struck the Thimble Islands in September of 1938 without warning. Seven people were killed, many of the Thimble Island homes were destroyed, and residents were stranded. Tourism died off because businessmen hit hard by the Great Depression, couldn’t afford to rebuild.